Debuting tonight at 11 p.m. eastern time on ESPN2, Keith Olbermann makes his return with an impressive view. Using the former space of “Good Morning America,” Olbermann’s show broadcasts from the heart of New York City at ABC’s Time Square Studios. 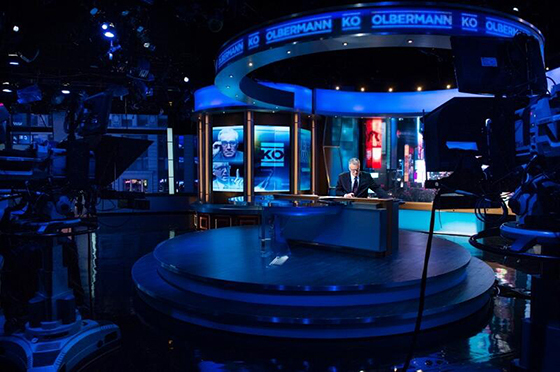 Olbermann described the set as “the spaceship” on Twitter, likely because of its circular rings and blue lighting. We’ll see how the set appears on air, but its main shot will likely be similar to “Nightline,” with a blurry view of Times Square. Update: We’ve posted a complete gallery from the debut.